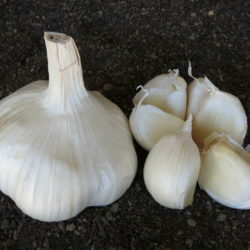 Artichoke garlics are the type of garlic often seen in your local grocery store. Commercial growers tend to grow Artichoke garlics because they are easy to grow and are tolerant to a range of growing conditions. 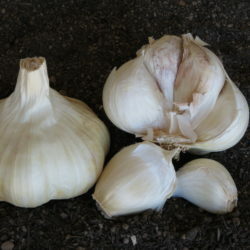 They have many cloves, usually between 12 and 20, with lots of smaller internal cloves. Artichokes are generally very large, store well and have a wide range of flavors.